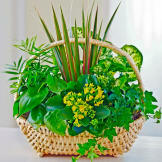 Send your most heartfelt condolences with this classic dish garden containing a beautiful variety of fresh plants. 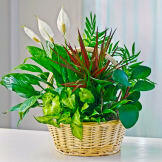 This rich garden of greenery is an exquisite gift that adds unique style to any home or office. 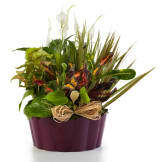 Flowers will be received by a Baumgardner Funeral & Cremation Service's staff. 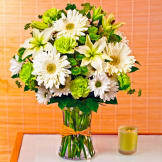 All of our flowers are designed and delivered by hand from a local florist in in Andover.